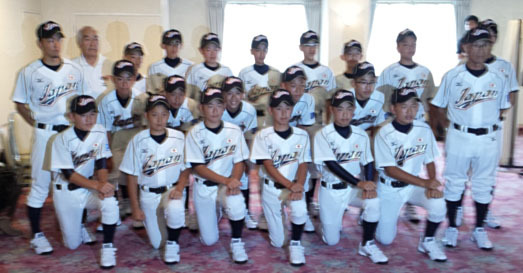 The Japan 12U National Team had last training session at American School in Fuchu, outskirt of Tokyo, on July 13, played two exhibition games on July 14 against Musashi Fuchu LL, Tokyo which will compete in the Little League World Series in Williamsport, Pennsylvania from August 15, 2013. On July 16, the 18-man 12U team will travel to Taipei where it will compete among 14 teams in the II IBAF 12U Baseball World Cup, July 18-28. Team Japan will open the competition against Czech Republic on July 18.